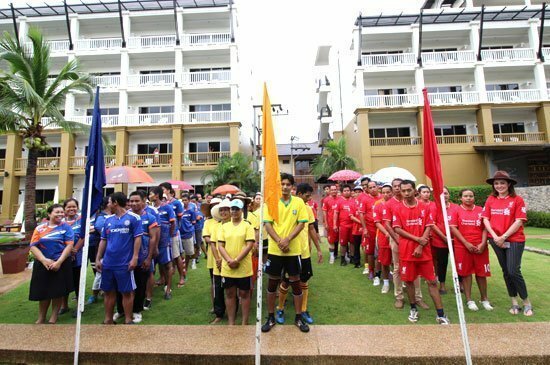 Kata Sea Breeze Resort has organized “ KSB Sport Day 2015 ”, between September 7 – 9. This event has formed to create the unity among Kata Sea Breeze team members. All staff has joined this event by playing Volleyball, Football and Chair Ball. After the games, the singing contest will be held on Friday 11,2015 at Sea Sky Conference Room, continue with a special party on September 12,2015 at Royal Phuket City Hotel ,in the theme of “ KSB Thank You Party 2015 “. This party night is a chance to say thank you to all KSB staff for their good performance and hard work. Dressing competition will be a highlight of the party, let’s see who will be the winner!! Make this easter even more special by celebrating with your family at The Andaman Kitchen.